With all eyes closed, these kids can read out entire pages of a book without much difficulty or differentiate the colour of any object just holding and smelling it. They can identify any picture shown in a monitor screen or TV. Even if they are not able to tell quickly, then they try touch, smell or listen to sense the colors on the flashcards. It’s amazing. 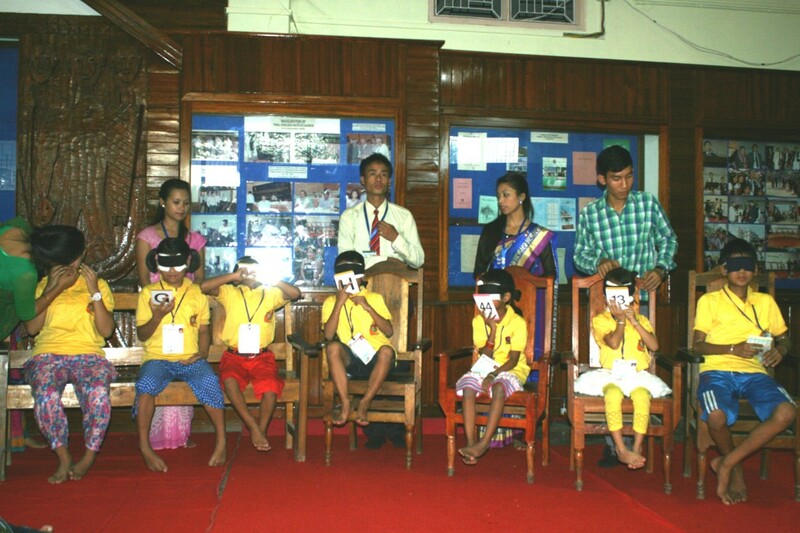 These amazing and talented kids developed their skill after having attended month long training at Secure Genius Mid Brain Activation Centre in Imphal providing special training sessions under the world famous Sichida Method introduced by a Japanese Professor Makoto Sichida. 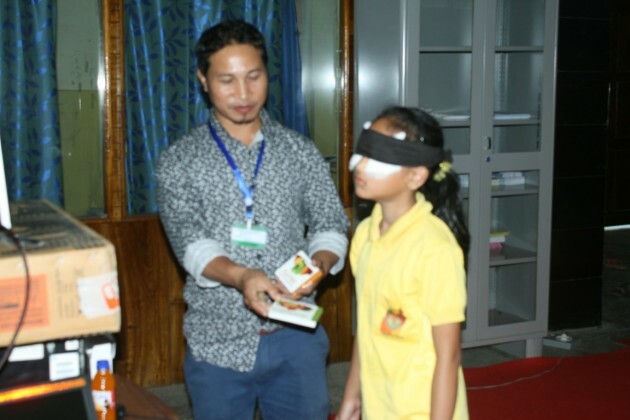 Manipur Times recently chanced to witness such a training session being provided to the school going kids by the Secure Genius Mid Brain Activation Centre, Imphal at its training centre at Manipur Press Club and Chingmeirong Tribal research Centre hall. 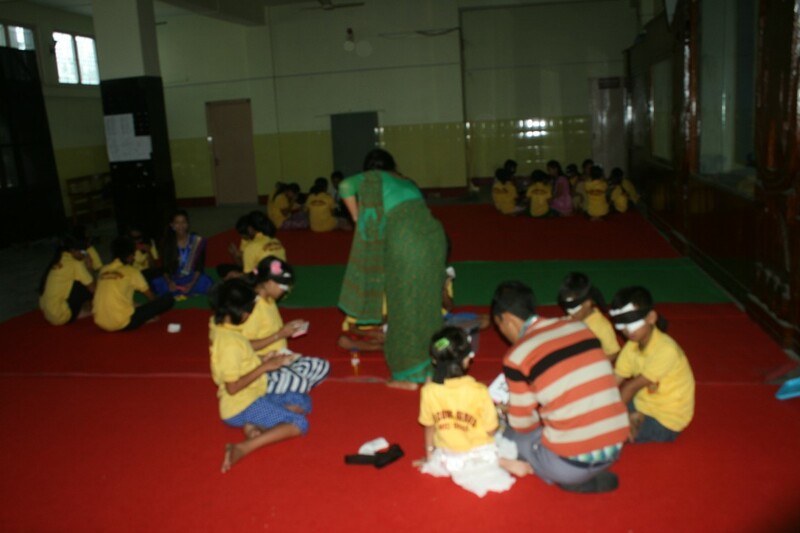 In an interesting live demonstration, the trained kids whose eyes got blindfolded with a black cloth could easily read the entire pages of a book and tell the colour of any object. in an exclusive interview said that Secure Mid Brain Activation Mid brain is a bridge between our left brain and right brain. Its activation is a scientific method. It is about super speed learning and boosting a child’s learning ability, to unleash a child’s hidden potential – beyond imagination. It is an accelerated learning program inspired by Maria Montessori, Glenn Doman, Makoto Shichida, Tony Buzan and many others. It is a gentle but powerful method of activating both hemisphere of the brain. With all eyes closed, a kid can perform activities like reading, writing, painting, playing, riding etc. 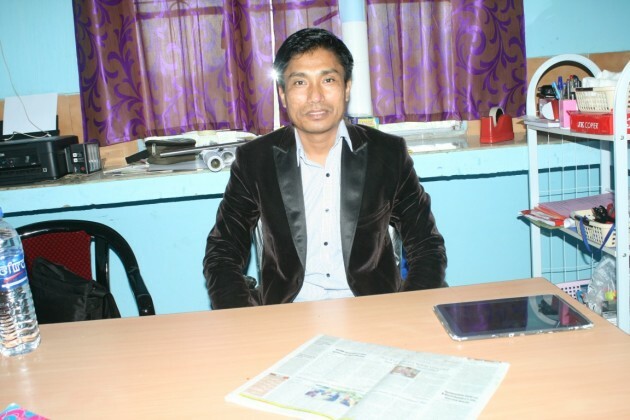 He said that hundreds of kids are undergoing such training sessions in about seven training centres set up at Manipur press club, Mantripukhri, Chingmeirong TRI etc. 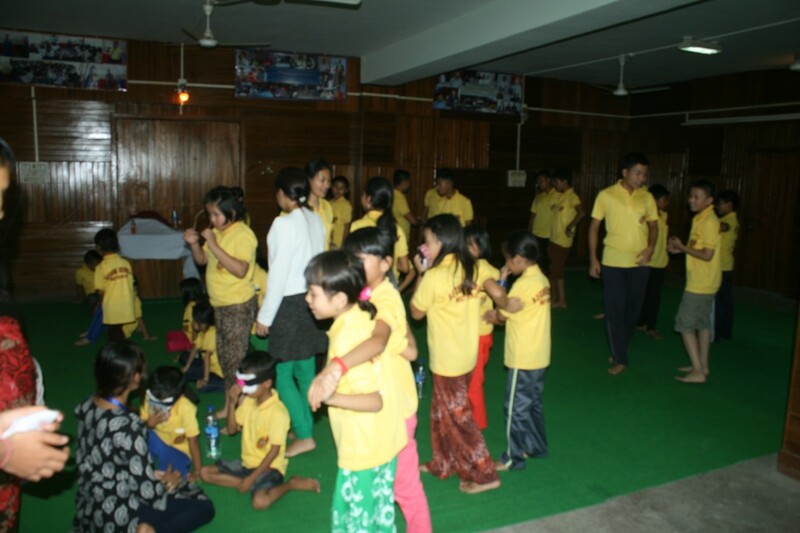 We play certain videos using specific software to guide the trainees exercise their left and right brain apart from playing cartoon videos to free the mind of the kids from outer influences and made them sleep while playing sounds of waterfall, bird chirping and other natural sounds. Such simple activities under right structure help the trainees improve their senses using their mid brain and channelize their concentration, he said. “According to researchers, 95 percent of human brain is not used. Brain usage can be increased through mid brain activation. A boy or girl who have properly undergone such training can maximize his/her brain power, improve memory, concentration, self confidence, creativity, imagination, emotional stability, improve sports, balanced brain usage and balance hormones. ‘Midbrain activation’ is a training programme to equip children to sense visual properties without actually seeing them,” he said. Such training is best provided to children between ages of 5-15 year. 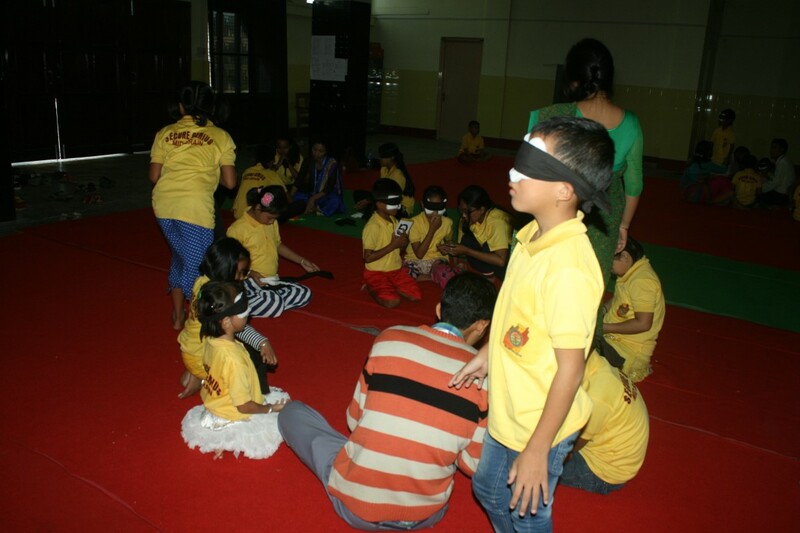 During the course, the initial aim of blindfolding is to enhance a child’s concentration. We try to achieve this by disabling the sense of sight on which most people heavily depend. Blindfolding also helps sharpen the other senses. 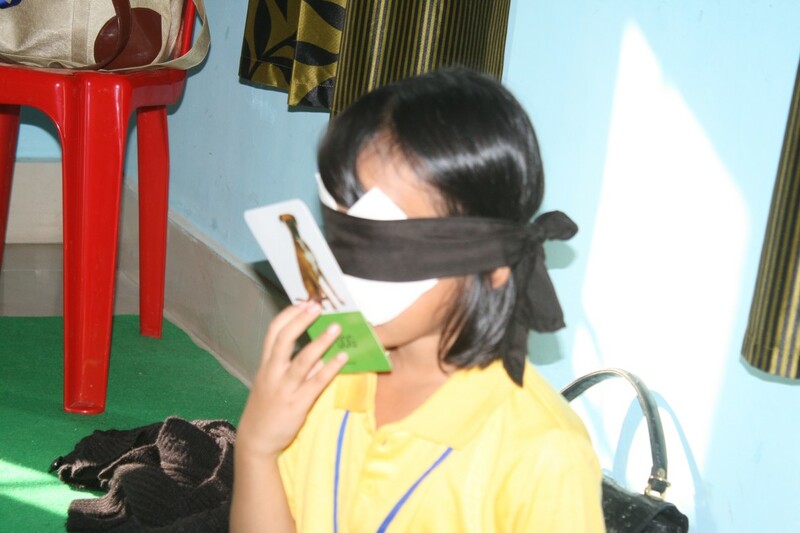 Immediately after the course, blindfolding is essential to increase a student’s concentration. As time progresses and the students’ abilities improve, they could opt to close their eyes. Their concentration and other mental abilities should eventually improve dramatically. Blindfold practice is mostly required for the first few months following the course. After the course, the right brain (responsible for long-term memory) and other parts of the brain would have improved. There are only advantages, no disadvantages, he said. 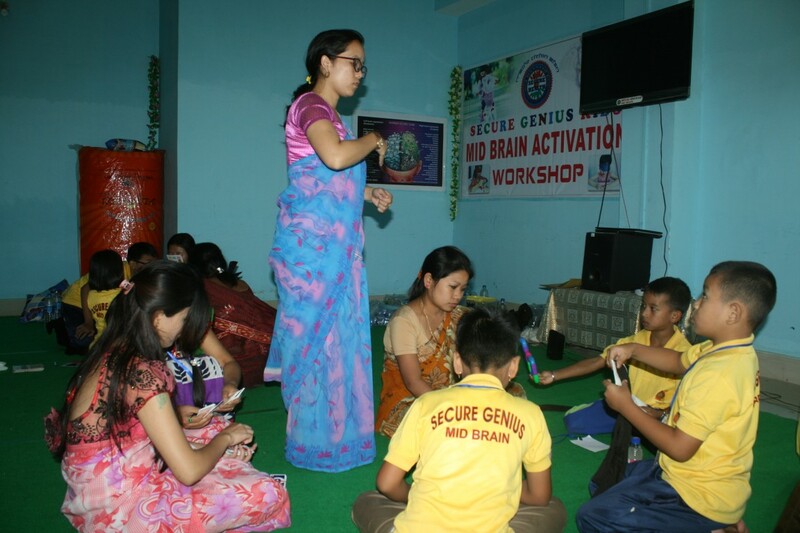 Secure Genius Mid brain Activation Centre, Imphal which offers such training programme are tempting many parents by claiming that it will improve memory, concentration, and intuition of children by stimulating some parts of the brain. They also charge some amount of fee from the parents for the training programme offered to the children. With Secure Genius Mid brain Activation Centre launching such training sessions recently in Imphal, thousands of parents who wish to make their kids “genius and talented” continue to throng the training centres opened at different parts of greater Imphal. Training is provided only on Saturdays and Sundays. 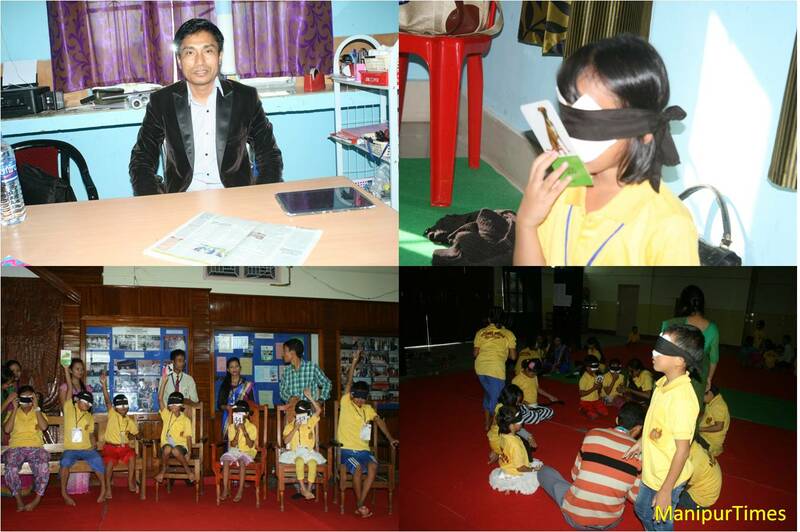 Secure Genius Mid brain Activation Centre Imphal was recently set up in the state as a franchise of a Haryana based training centre. The brain will be so awakened that the children will be equipped to read and see even while they are blindfolded. We can provide satisfactory result to every trainee kids after successful completion of the training, claimed the training instructor. He also said that a state level competition would be organized shortly in which the trained kids of the training centre would demonstrate their talents. The Shichida Method is a proprietary right-brain training system with more than 40 years of research and over 35 years of track record in Japan, involving special processes and materials created by The Shichida Educational Institute. The method is considered as a good toll for improving learning abilities of the school going kids through early education. The number of centers has surpassed 450 all over Japan and is the most popular course in Singapore and Malaysia since it was introduced in year 1999. The Shichida Method has grown phenomenally to be recognised as the Number One brain development programme. The Shichida Metshod also entered the Singapore Book of Records in year 2007 as the only programme that has the highest number of children below the age of two. The popularity of this programme has propagated a movement in young parents to explore what it takes to raise a superb child at the right time. From the thousands of personal stories and anecdotal evidence reported by parents on the programme, many now firmly believe in early sensory stimulation to draw out rich creativity and hidden innate abilities in children. I wonder why they don’t teach blind children.. it will be such a help! Coz they can’t be taught to peek through the hole! You can win Rs 5 lakhs if this is true. I, Narendra Nayak aged 64 years s/o late R.C.Nayak, President Federation of Indian Rationalist Associations, resident of 101, Noel park, Microwave station road, Mangalore-575006 and have been investigating paranormal phenomena since past four decades have come across a recent fad going on in our country in the name of Midbrain activation being conducted by a number individuals and commercial undertakings. While most of the claims made are unverifiable and extremely subjective, one which is striking is that they can make subjects see through blind folds- to be specific that they can see without any light reflected from the object reaching the retina of the individual whose ‘midbrain’ has been activated. Since this claim is of earth shaking sequences and surely capable of earning a Nobel prize for the claimant and also to revolutionise a lot of things in the world, we would like to verify the same under tightly controlled conditions. I would also like to make a grant of Rs.500,000 to any one who can demonstrate the same under such conditions which have loosely specified as below. More specifics will be laid down if any one is agreeable to demonstrate their claims under these broad guidelines. We are not entering into any wager or betting but only making a small grant to further research and investigations into this matter to enable the applicant to rise to further heights in the field which promises to be a very promising one. However to prevent fortune hunters and such non serious contenders we have to also specify a security deposit of Rs.50,000 which shall be refunded along with the grant money of they succeed in demonstrating the desired objective under conditions specified by us. Terms and conditions for the grant of Rs.500,000 for carrying out further development in the field of seeing without any light inputs on the retina. 1.Since the claim is that the subject will identify objects, read material without any visual stimulus from them we shall be taking measures to see that no such will reach the eyes of the subject to be examined. 2. Blind fold shall mean any implement of any material used to block visual access to the object to be identified which may mean something fixed around the eyes or anywhere else between the eyes of the subject and the object. It may be one or more such. 3. If colors, numbers of notes or any printed matter will be read it shall be done in an enclosed container into which the hands of the child shall be inserted in a fool proof manner. The object shall be put in a tube of opaque cloth with a double fastening. The access will be allowed only after loosening one, insertion of the arm to its maximum and then tightening the same after which the fastening around the object to be identified will be removed. The objects will be put into numbered such containers. Only after proper recording of the observations will the objects taken out. 4. The answers are to be specific. In case of written material placed for identification the exact reproduction is needed. In case of a currency note the denomination, currency, serial numbers are to be given. 5. The applicant shall be allowed to first demonstrate what the subject/s is/are capable of doing using their own props and blindfolds but that shall have no bearing whatsoever on the tests which we shall conduct using our own material and conditions which shall be put into further detail before the test is conducted by us. 6. Once the subjects are going to be ready to be tested by us the applicant will have to desist from giving them any sort of communication. Any such attempts shall be deemed to be per se malpractice and the results shall be held to be invalid. 7. I am placing the grant amount as rupees five lakhs only. The applicant will have to put in 10% of the same from his/her side as deposit which shall be forfeited if the subject fails to demonstrate the power. The grant shall be given to the applicant only if the subject under testing shall pass the tests with 90% results. The exact details shall be furnished before the start of the event. 8. If the trial involves minor children the applicant for the grant should provide an undertaking that the consent of the parents has been obtained for the demonstration. 9. In case of any legal dispute the jurisdiction shall lie in Mangalore. 10. The trial shall be conducted at Mangalore at a venue and date suitable for both parties in the presence of media and members of the Dakshina Kannada rationalist Association and others who should inform before hand that they are going to be present. If the venue is to be shifted out of this place, it shall be at the discretion of the grantor to select of reject the venue. 11. A more detailed agreement shall be drafted and signed before the beginning of the test. It’s real bro.. I have witnessed.. it’s a technique already used in Japan..
Oh.. it’s like blindly believing a magic show and thinking it’s for real without using our brain! Hmmm.. have u witnessed rt in front of u..?? 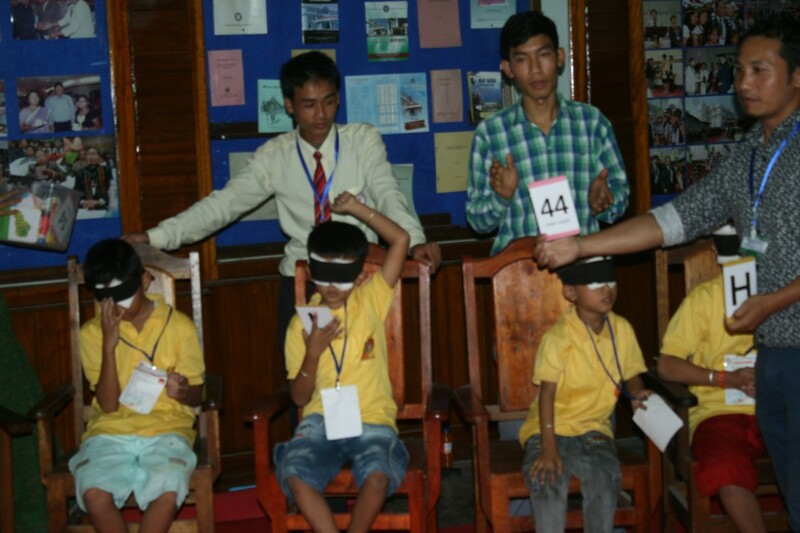 blind folding doz kids by ur self.. ..?? I did n my dad invited them for an awareness program for our locality..
Hopefully.. u will believe one day.. adios..
No need to prove n waste my time for already proven thing dear Pokhomba Yaikhom Keirencha. please read articles regarding this fraudsters.. The prove u r talking about is in Manipur or somewhere else..?? And I hope.. those parents spending thousands for this course for their children is not just for magic… be logical bro.. they r not fools.. Please use the brain.. how is it possible to see without using your eyes.. it’s worth not discussing this illogical funny magic trick with less educated people like you who have all the time in the world to prove that “magic” or “psychic” do exist .. prove the theory regarding this absurb thing.. then you can get a nobel prize.. we have never read such things in my entire life of MBBS and MD. I want to you your respective qualifications regarding knowledge about human anatomy and physiology.. then talk to me! I will not criticize if they prove the basic human physiological function.. if it’s really true than why can’t they teach the entire blind community. It ‘ll be such a big help.. Please teach the blind people this technique.. it will be real good.. I wonder why no blind child is participating.. Peek-a -boo!!! I hate to see parents getting cheated for 10000 bucks for things which you don’t need.. they take thousands of rupees for this course..
Dats call mid brain activation..